Came across these photos of drugged up, listless and disenchanted Japanese youth while doing some research on the Tokyo Beatles. I’ve always been attracted to how different countries experienced “iconic decades” and these photos taken by Michael Rougier for the special Japan issue of Life Magazine reveals the life of the rebellious J-teen in an era where everyone in the world seemed to be figuring out how they fit in. The photos are a remarkable portrait of the misfit life of urban Japanese teens, and an interesting look into the Tokyo Beatles’ fan base. 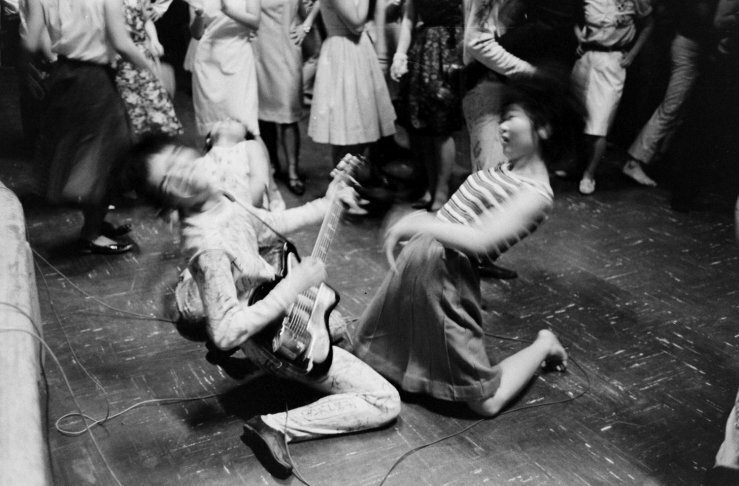 Morse and Rougier documented the kids who rebelled against their parents through pill popping, motorcycle riding, swigging booze — and gyrating to the sounds of the Tokyo Beatles. The band was a relatively short-lived phenomenon, with only one album to show for its three years in existence. The music is covers of Beatles’ songs rendered in a mix of Japanese and English. It sounds at once like a straight copy and like something completely new. Judging from the photographs, it hit the right chords with the teens of Tokyo. Of course, love for The Beatles never went away in Japan, and – depending on who you ask – neither did the uncanny ability to faithfully mimic foreign music.